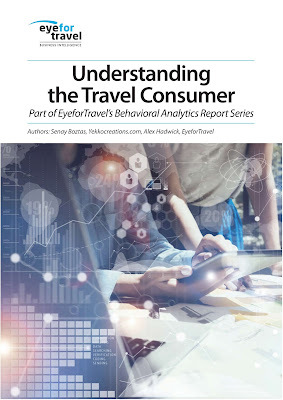 EyeforTravel’s new report series into behavioural analytics is looking at what makes customer tick and how travel brands can use data techniques to improve every part of their sales process. In the first report in the series, Understanding the Travel Consumer, EyeforTravel alongside leading travel brands, is opening up the data processes and techniques necessary to drive insight. Core to this is how to treat the data itself. Here are some key pieces of advice from the report that can help you to unlock the potential in your data. In the report, every travel brand featured advocated consolidating data into centralized systems. This is because it then becomes easier to drive reporting, analytics, automation, and personalization from a single source. First, they had to pool their data before they could run it through a customer matching engine, which has “the capability of searching, indexing and giving back the information about that customer.” Layered on top of this is an “application network” that interfaces across the business to provide a wide variety of services via Application Programming Interfaces (APIs), from alerting about a flat tire or issue with a particular model of car, to giving customers their preferred car type. NH Hotels moved their property management system, central reservations system, customer relationship management and revenue management solution to the same database and Eurail has one “data warehouse” accessible to all employees via desktops or mobile phones. Ask What Are You Asking? Visualization is critical for data-led analysis. As the quantity of data exponentially increases, visual means are frequently the only way to comprehend and extrapolate meaning. Furthermore, data has been found to be far more convincing than just presenting the bald numbers, making it vital for gaining buy-in from colleagues. “Visualizing does not need to be difficult – it turns difficult content and relationships into understandable information,” says Ina Hoppe, data analyst and systems development manager at Leonardo Hotels. “Pre-think what you want to show, or you will draw sophisticated dashboards no one will use. Ask your teams what they want, and keep it simple,” a sentiment that harks back to Dhanda’s advice when creating a project. This is now all the more vital as the European General Data Protection Regulation has come into force and means that customers must agree explicitly to all uses for their personal data, that data must be protected, and they can delete it. Practical solutions brands can take to comply and still have a strong set of customer data include separating and anonymizing data. Amer Mohammed, head of digital innovation at Stena Line ferry firm says it now splits data into two copies: The first is anonymized, the second is personal. “In the marketing you have personal data where you can identify the individual, in the second we have anonymous, aggregated data,” he told the EyeforTravel Smart Travel Data Summit 2017. “If a customer asks us to delete their data, we only delete the first one. The second we use to get to know our customers.” This allows them to continue drawing conclusions whilst protecting the data and allowing customers to delete it easily.